Your SEIU 721 bargaining team has been hard at work for us at the Los Angeles Homeless Services Authority (LAHSA). As we finalize contract negotiations, the team’s motto is: Let’s Bring It Home. That’s what we do for our clients – we bring them HOME to a new beginning, putting them on a pathway to a better future. And that’s what we’re going to do with our contract – we’re going to BRING IT HOME! OUR CHALLENGES: Wages remain a sticking point. LAHSA is bringing in new employees at a higher pay rate – while keeping wages far lower for the rest of us. This wage system is divisive and wrong. LAHSA is experiencing high worker turnover and needs a fair and equitable wage system to keep their workforce. 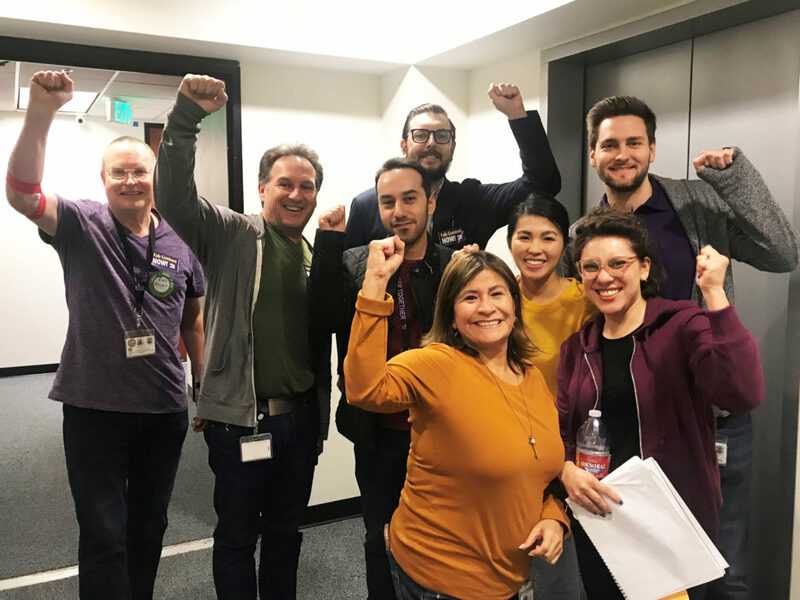 SEIU 721 understands the connection between good conditions for LAHSA workers and quality care for the homeless clients we serve. Nobody should be living on the streets, especially in a wealthy metropolis like Los Angeles. That’s why we do the work we do, every day. But just as we fight for our clients, we must fight for ourselves, too. Our next bargaining day is scheduled for Wed., Feb. 13 at 9 A.M. Be sure to PURPLE UP to show your support for our bargaining team. Stay tuned for future updates. And in the meantime, if you have questions or need more information, contact Bridget Shea at (213) 308-0943.